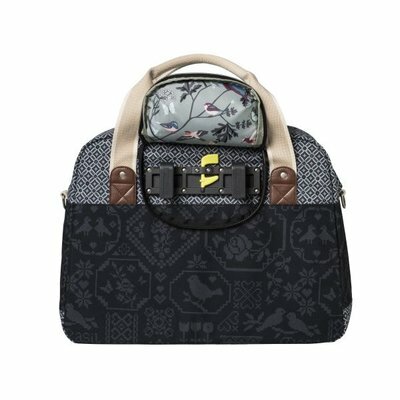 The Basil Bohème Carry All Bag is a unique bicycle shoulder bag in versatile charcoal, with a stunning bohemian print that sets this apart from the crowd. 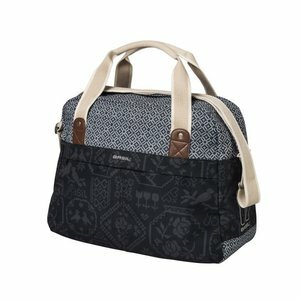 This beautifully designed bag is crafted from a polyester material that’s water-repellent, making it an ideal choice for all weather adventures. This bag has a capacity of 18 litres, ensuring there’s ample room for all your items. 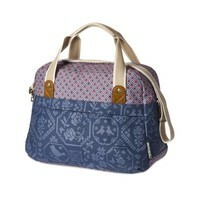 Ideal for trips to the shop or busy commutes, the Basil Bohème Carry All will never let you down. 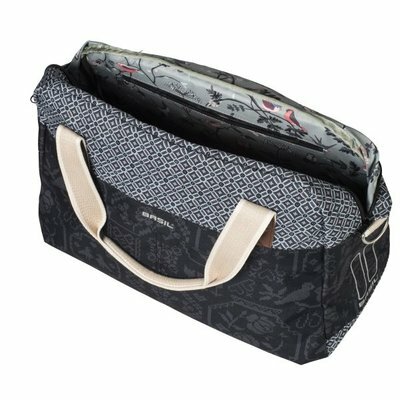 A large inner compartment offers housing for bigger items, while smaller pockets and compartments provide perfect storage for odds and ends. Thanks to secure zip fastening, you can rest assured that your items will not be thrown free from the bag in transit, giving you total piece of mind. 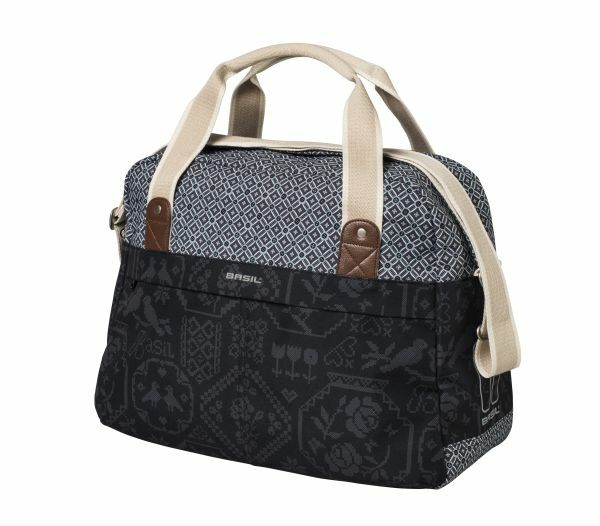 You’ll love the artificial leather details and accents, giving this bag some designer-level detail that’ll be the envy of your friends and fellow cyclists. 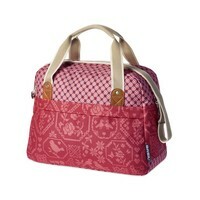 A removable shoulder strap and handy hinges for carrying add to the functionality of this first-rate design. Thanks to the hook-on system, this bag easily attaches to your luggage carrier with minimal fuss, while the brackets can be quickly removed in moments. 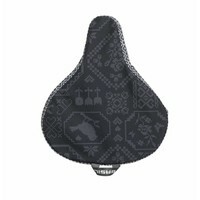 When you’re good to park up your bike and move on, simply sling this bag over your shoulder and you’re good to go. Looking for more original ideas from Basil? Browse the complete range online today. 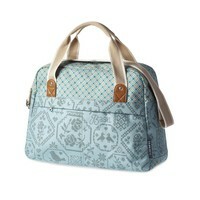 The Basil Bohème Carry All Bag is made from water-repellent material and has a capacity of 18 litres. 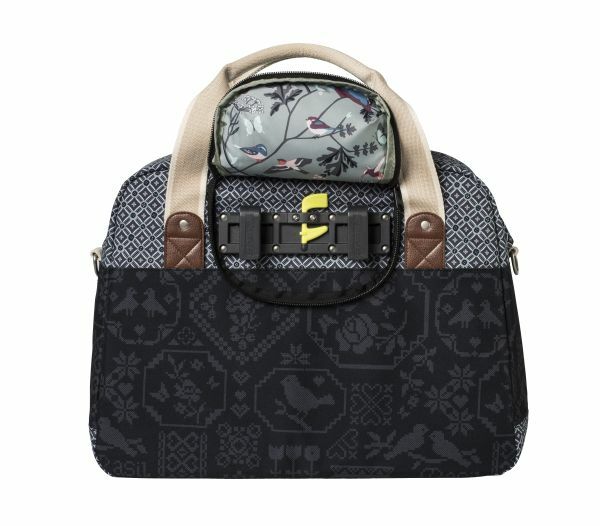 The bicycle shoulder bag attaches to your luggage carrier with ease thanks to the hook-on system. 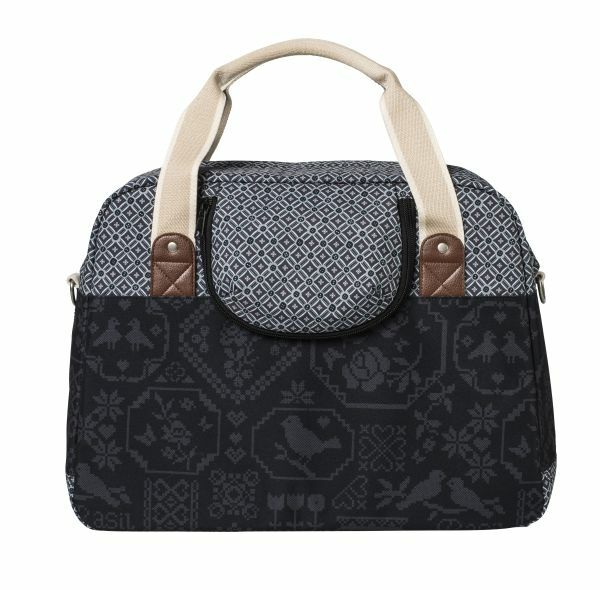 This bag is available in a classic charcoal colour. This stylish shoulder bag boasts slick faux leather details.